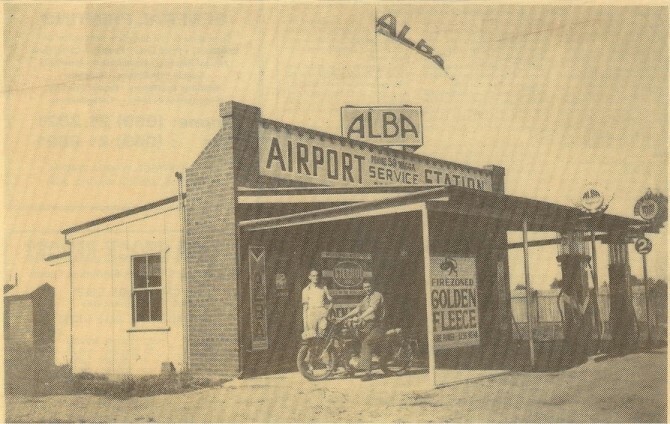 When he was about 19, (c1936) my father bought some land and built from scratch, the "Airport Service Station" opposite the then Wagga Wagga airport on the eastern side of the town. 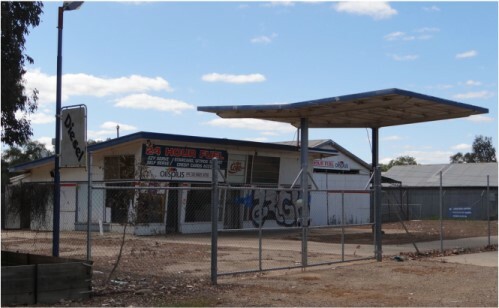 Within a few years, he vied for top petrol sales with "Silvalite, which was on the western approaches to Wagga. This image shows no workshop yet, but I notice he had the comfort of an outhouse. That's Dad on the motorcycle & possibly his mechanic, Bruce Nelson, standing. Notice the phone number, 59, and the price of petrol at 2 shillings per (imperial) gallon. 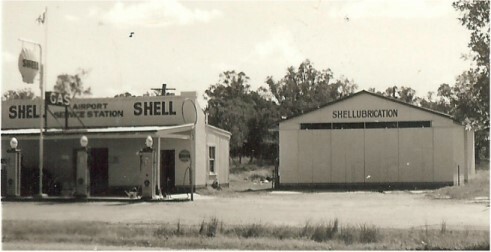 It was the first service station in the area to go "One Brand", "Shell Oil" in this case. Prior to that he sold "Golden Fleece" and "Alba" products. Notice the freshly painted facade is the same as the first image and the workshop has now appeared. I remember it as being Shell, and at the age of 7, I pumped my first (imperial) gallon of petrol there in 1958. It's value was 4 shillings, or about 8.8 cents per litre by then. And this is how it looks now. derelict and ready for demolition.....but I still have the book of service reminders. Phone now #3359. My family didn't keep anything relating to this part of our family history, which saddens me a little. However,I do know that during WWII, when Dad answered the call, his farmer father ran the business until he returned. Rob thats so interesting, thanks for posting. I wish the building could stay. No, ... it's best we destroy all this old stuff and just go with the new. Newest is best, don'tcha know ?